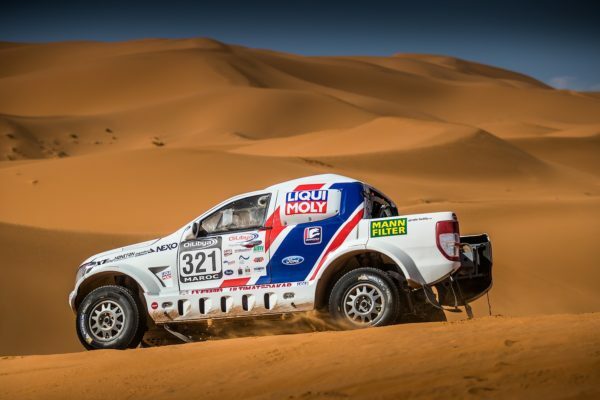 Tomas Ourednicek and Pavel Vaculik suffered a setback due to an accident in the 315 km long third special of Morocco Rally. 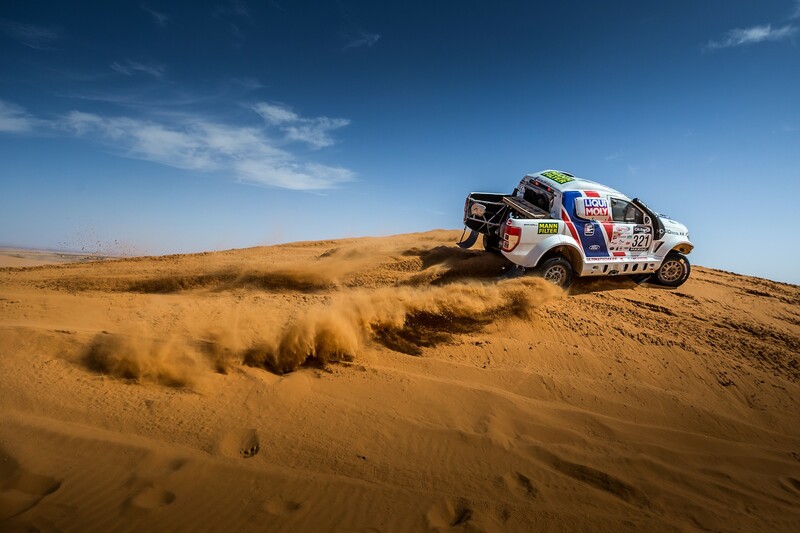 The crew of Buggyra Ultimate Dakar slipped back to 21st position in the overall classification, but they hope to be able to continue tomorrow after repairing the Ford Ranger Dakar. 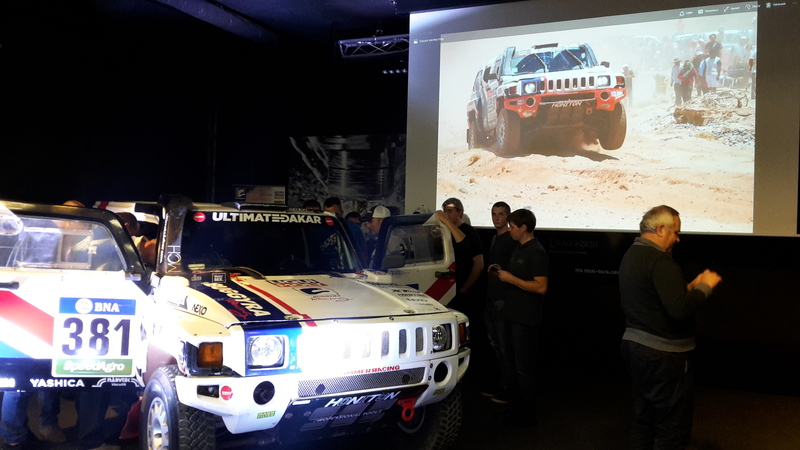 Cross-country rallies are generally considered demanding and dangerous, but one of the situations most difficult to handle is to drive in the dust of a slower vehicle with a very limited visibility. This happened to Tomas and Pavel today and resulted in a crash, fortunately without very bad consequences. 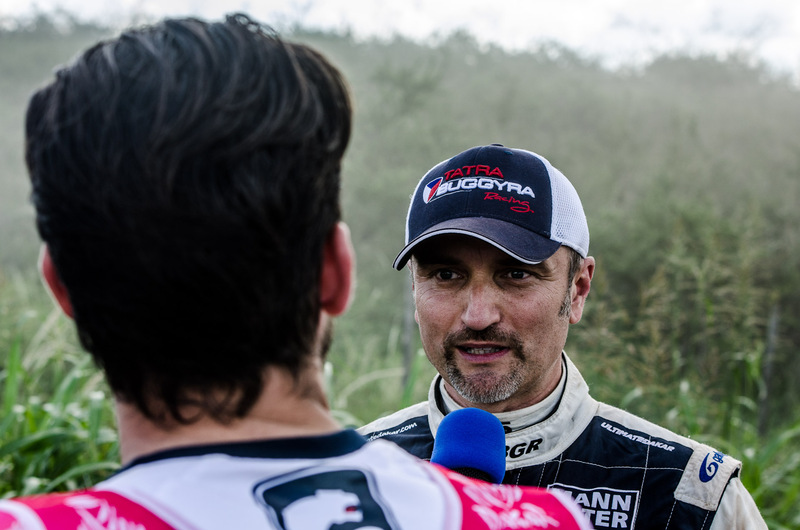 “In the first half of the stage we went well, without any problem. We had a nice pace, everything was fine. Then about 170 km into the stage, we arrived in the dust of a quad rider, and although we pushed the Sentinel, he didn’t let us go. We drove in his dust for kilometres and kilometres, and unfortunately we didn’t see a big step up. We hit it at full speed, flew for about 30-50 metres, and then landed on four wheels, but so heavily that one of the rims broke and the front coolers were also damaged. 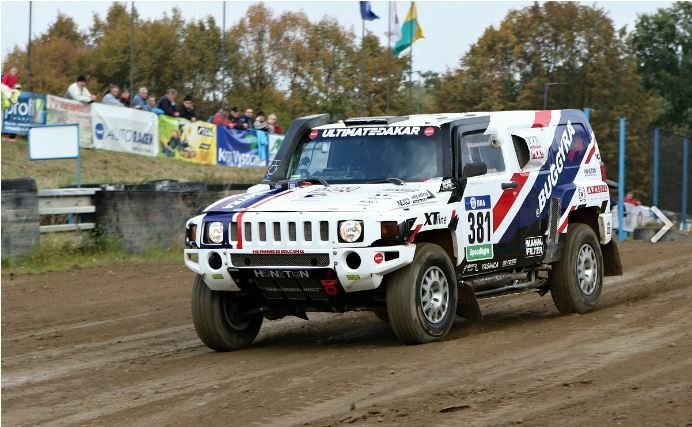 It took about one hour to fix it, and later we lost the rear brake, so we had to drive really slowly. We managed to finish the stage, but unfortunately lost all chance for a good result. We try to repair the car and go on tomorrow, using the two days left for testing and practicing with the Ranger. 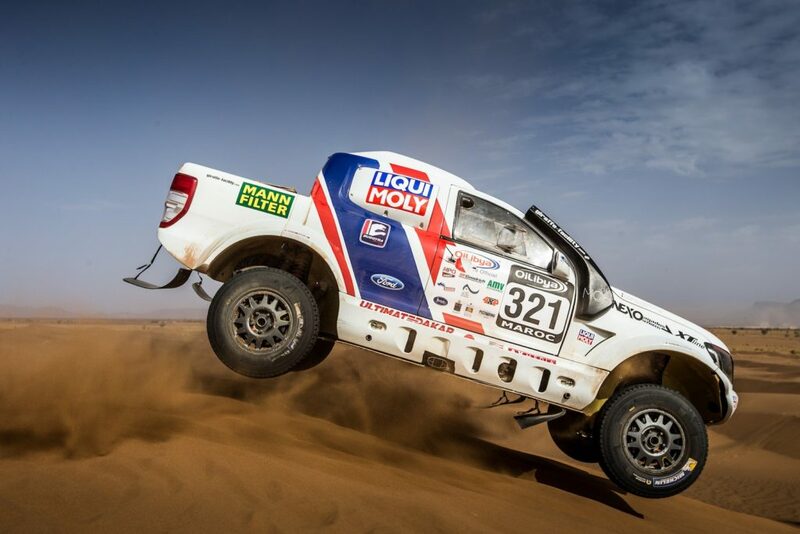 On the other hand, we are still 21st overall with a chance to make it back to the top 20, so we are eager to race” Tomas Ourednicek said after arriving to the Erfoud bivouac. 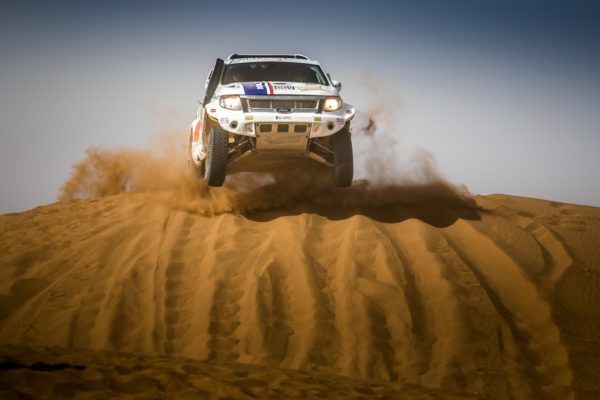 On Thursday the penultimate stage of Morocco Rally called ‘Erfoud Loop’ will be 376 kilometres long with 319 kilometres against the clock.